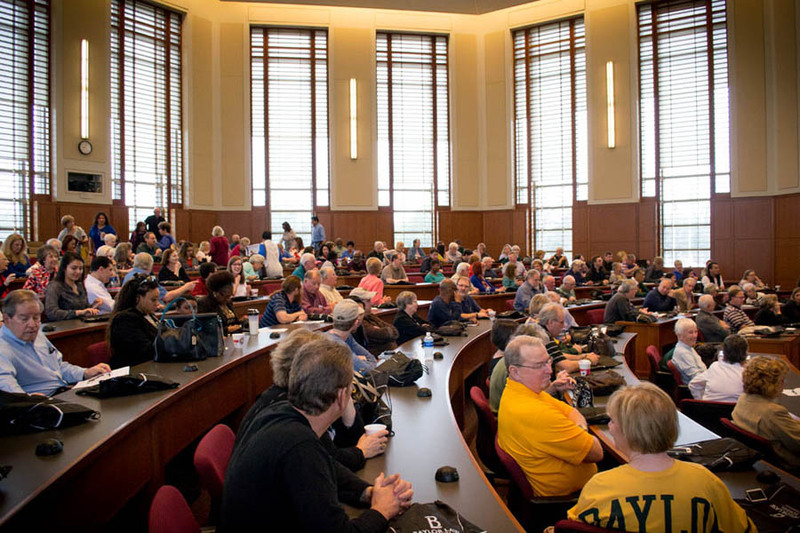 On February 11, Baylor Law School hosted the 12th annual People's Law School, a half-day event offering free courses designed to help the average citizen understand their legal rights. 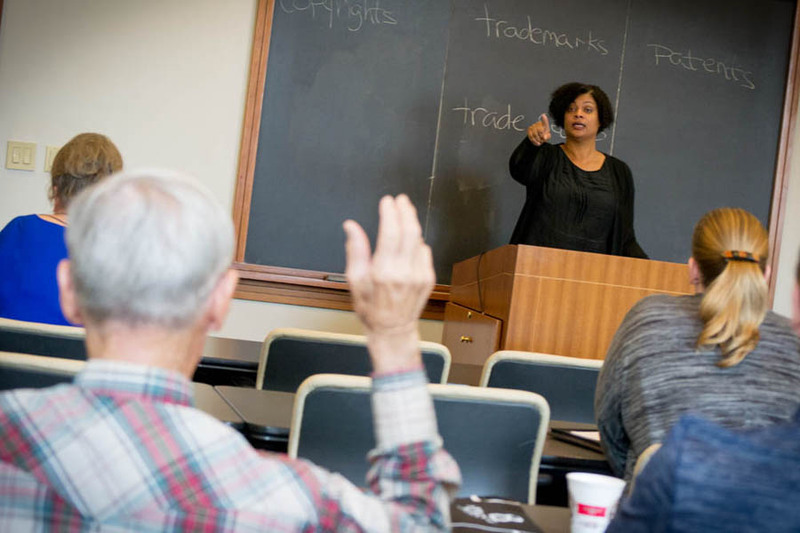 Free and open to the public, the People's Law School is a half-day curriculum of courses designed to educate members of the community about their legal rights. 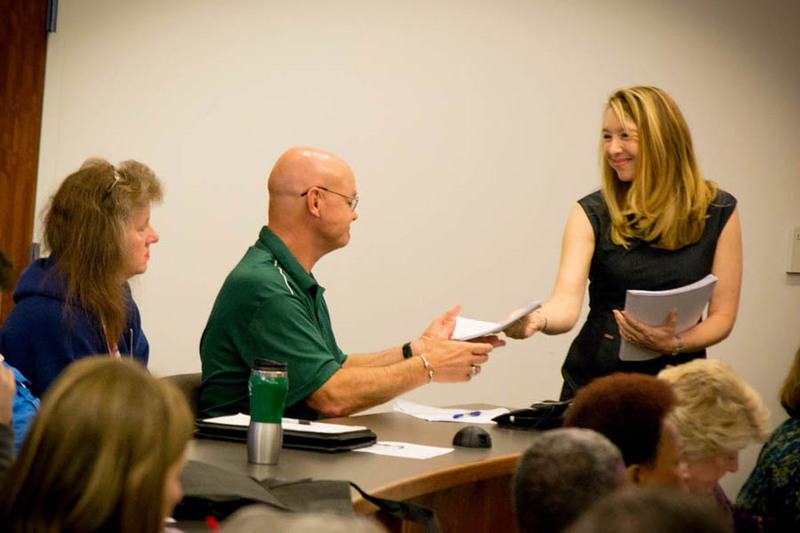 Established and organized in 2005 by Professor Pat Wilson, the People's Law School has become an annual event sponsored by Baylor Law School and other organizations for the benefit of the Central Texas community. "It is a community event meant to make the law user-friendly," said Baylor Law School Professor Patricia Wilson. "We offer the courses that we think people will be interested in to increase their knowledge of things they'd like to have a better understanding of for practical purposes and their own edification." Volunteer attorneys and legal experts taught courses on a vast array of topics, from consumer law to employment law. Each course was one hour. Twenty courses were available, and nearly 300 people registered for the program. The People's Law School also featured courses designed around current political and social issues. In light of the new presidency, one of the new courses offered this year, "The Legislative Process: Statutes, Rules, Executive Orders," explored the president's power and explained the difference between statutes, administrative rules and executive orders. "Every year, we look at what's going on in terms of current events and try to gauge what people would be interested in," Wilson said. The People's Law School also brought back an old course on the Affordable Care Act. "We offered a course on the Affordable Care Act when it first became effective," Wilson said. "We took it off the course listing for a few years afterward because it seemed to be in equilibrium. Now, of course, with the talk of the repeal of Obamacare, we thought it would be a good time to bring the course back." The 11th annual People's Law School was sponsored by the Waco-McLennan County Bar Association; Center for Consumer Law; Sheehy, Lovelace & Mayfield, PC; State Farm - Terry Strickland Agency; the State Bar of Texas Consumer and Commercial Law Section; Screen-Tex Graphics; Shipley Do-Nuts (Waco Drive location); and Mars, Inc. The media sponsors included The Waco Tribune-Herald; KWTX; and Lamar Outdoor Advertising. Established in 1857, Baylor Law School was one of the first law schools in Texas and one of the first west of the Mississippi River. Today, the school has more than 7,400 living alumni. It is accredited by the American Bar Association and is a member of the Association of American Law Schools. Baylor Law School has a record of producing outstanding lawyers, many of whom decide upon a career in public service. The Law School boasts two governors, members or former members of the U.S. House of Representatives and the U.S. Senate, two former directors of the FBI, U.S. ambassadors, federal judges, justices of the Texas Supreme Court and members of the Texas Legislature, among its notable alumni. In its law specialties rankings, U.S. News & World Report ranked Baylor Law's trial advocacy program as #3 in the nation. Baylor Law School is also ranked #51 in the magazine's 2018 edition of "America's Best Graduate Schools." The National Jurist ranks Baylor Law as one of the "Best School for Practical Training," and #4 in the nation in its most recent "Best Law School Facilities" listing. The Business Insider places Baylor Law among the top 50 law schools in the nation. Baylor Law School received the 2015 American Bar Association Pro Bono Publico Award, making it only the third law school in the nation to be honored with the award since the award's inception in 1984.